Details of unusual or unseasonal sightings are especially welcome for inclusion on this page, although any contributions are welcome. Please send your contributions to contact@highland-butterflies.org.uk. Highland Branch welcomes contributions not just from Highland and Moray, but from the Western Isles, Orkney and Shetland. Bob Turner and I saw Peacocks, Small Tortoiseshells and male Orange-tips at Lynwilg, just south of Aviemore. We also saw a male Orange-tip at Milton Loch, Boat of Garten. Henry Farquhar saw a male Orange-tip butterfly in his Lossiemouth garden, as well as other species. Pete Moore and Hilary Swift saw loads of Small Tortoiseshells and Peacocks in Glen Beg near Grantown-on-Spey as well as a Green-veined White. Butterflies are also enjoying the Aubretia flowers in their garden in Grantown-on-Spey, just like the Small Tortoiseshell pictured below. 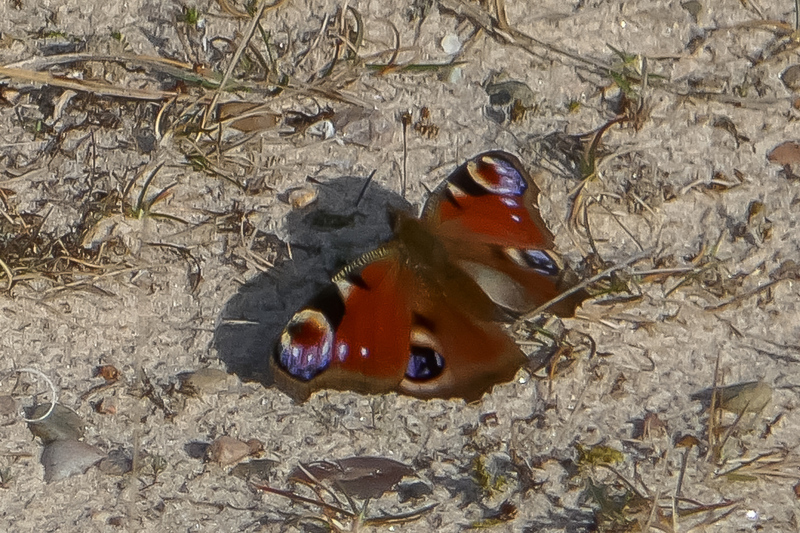 Duncan Davidson saw a Peacock butterfly near Nairn. Mike and Britt Taylor found their first butterfly of the year, a Peacock, on Findhorn dunes in fabulous butterfly weather, full sun, warm and no wind. Nancy & Pete Gordon found this live Grey Dagger moth in their house. Its normal flight period is mid-May to August, sometimes with a 2nd generation in September to October, so this individual is well outside that! Vice county recorder Mike Taylor thinks it probably came into the house as a pupa on a firewood log, emerging early due to the warm conditions. Bob Turner and I found a Ruby Tiger larva by Loch Pityoulish near Boat of Garten today. 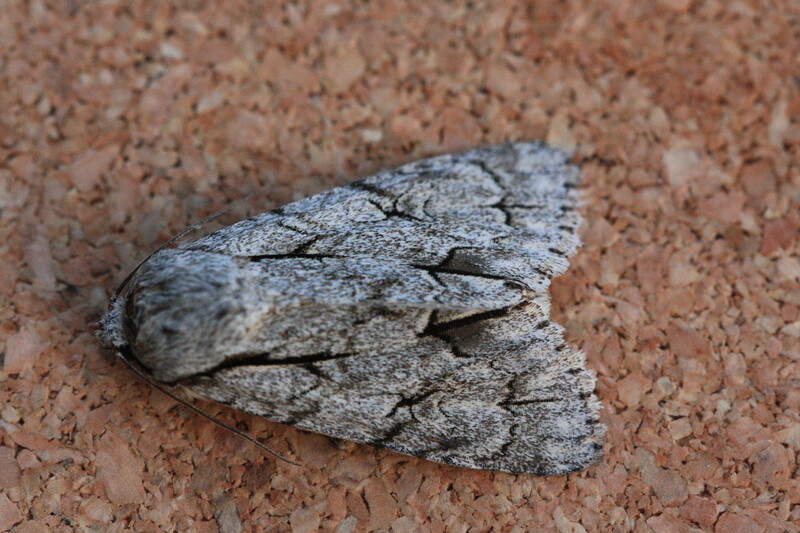 I put the trap out in my Aviemore garden last night and caught a single Dotted Border - a first for the garden. 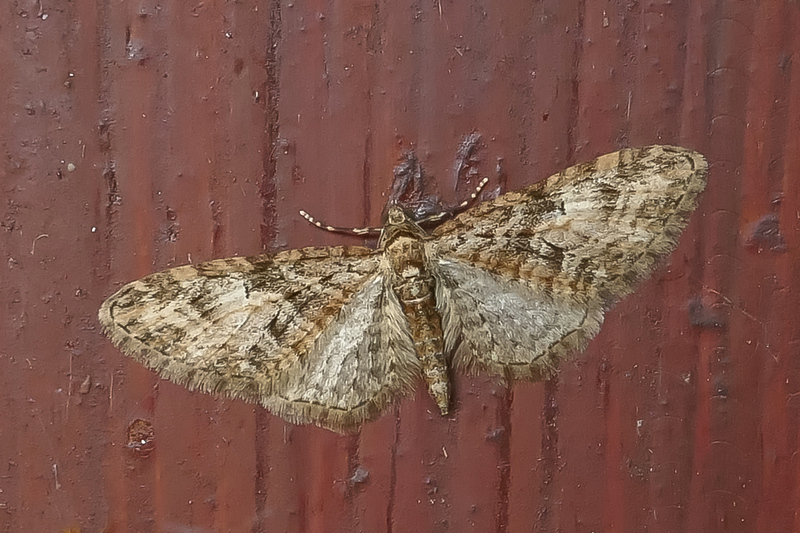 Mike Taylor found a Brindled Pug in Findhorn, almost 4 weeks earlier than normal for the species in that area. I found a Pale Brindled Beauty on the wall of my garage in Aviemore this evening, the earliest in January that I've seen, by over a week.